The end of the year is rapidly approaching, and before diving head first into 2019 it’s time for a look back on fantastic year of music. So much choice, so little time…but I managed to get myself a little list anyway. Here’s what my year in music looked…eum…sounded like. Raving reviews all over the place: Post Eurovision Depression has left its mark yet again and fans all over Europe are fanwanking all over the 2014 edition of our beloved Contest. But was it thàt great? Was it really? A thourough analysis is needed, me thinks! Hashtag joinme. Happy New Year to all, glitter and sparkle and such! Are you ready already for another run of on-season madness extravaganza? 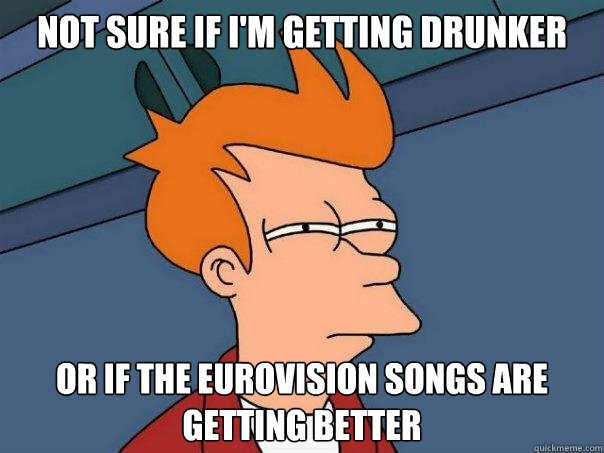 Until this evening I wasn’t exactly in the right mood yet, but in a moment of ‘should I already or shouldn’t I yet’ I decided I should and so I did… watch the first selected entries for #ESC2014 .